Since the turn of the last century, Peter Pan has been an iconic character of children’s literature. He’s been featured in stage plays, novels, animated cartoons, and been the jumping off point for dozens of films and made for TV specials. 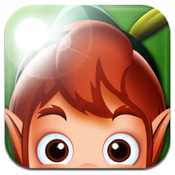 So it comes as no surprise that Peter Pan is also at the heart of one of the best kid’s apps for the iPad. It’s Me! 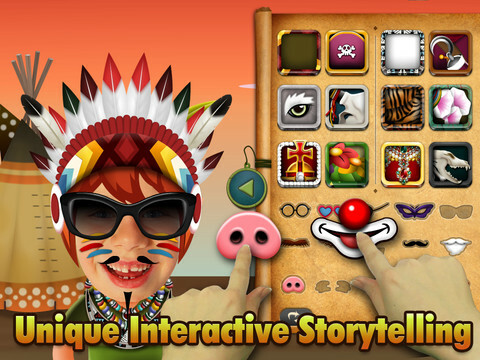 Peter Pan, developed by etribe, is a fun take on one of the most beloved children’s stories of all time. In addition to retelling the classic tale of Peter, Wendy, and all the rest, you can customize the story for your child by overlaying your kid’s face over that of Peter himself. 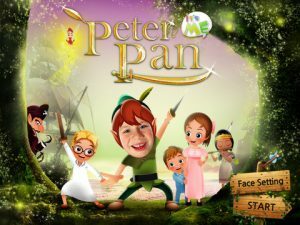 No matter what age you are, it’s a real trip to see your face stuck on to Peter Pan’s body, and it’s a feature that’s sure to entice even the most reluctant readers to check out the story. Getting your face laid just so over the template is tricky, but the result is worth it. You can also read the story without putting a new face on the Peter Pan character, which may seem less fun…but for families with more than one kid, it might be the better way to go, to avoid jealousy. In addition to altering the Peter Pan character, you can also interact with the environments, doing minor things like moving characters around or turning off the lights in neighboring houses. It isn’t as interactive as it could be, but that’s okay: it keeps kids focused on the text and the story. 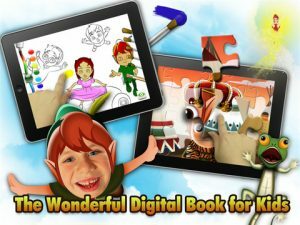 This interactive ebook is perfect for families with reluctant readers, or kids just learning to read. With the incorporation of mini games and the wonderful photo face customization feature, this app actually does make reading fun. it’s me! 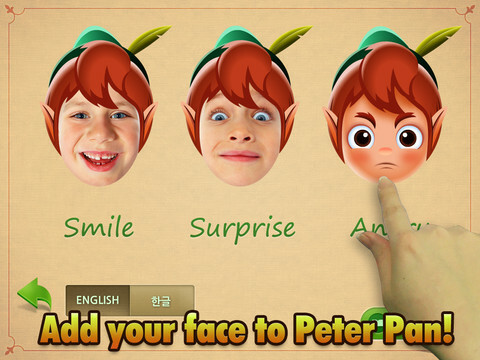 Peter Panis compatible with iPad. Requires iOS 4.3 or later.